AP 10th Class Exam Time Table 2015: Andhra Pradesh Educational Minister Mr. Parthasarathy was released Ap 10th time table March 2015. Ssc public examination march/ April 2015 Timetable was are available at bseap.org. 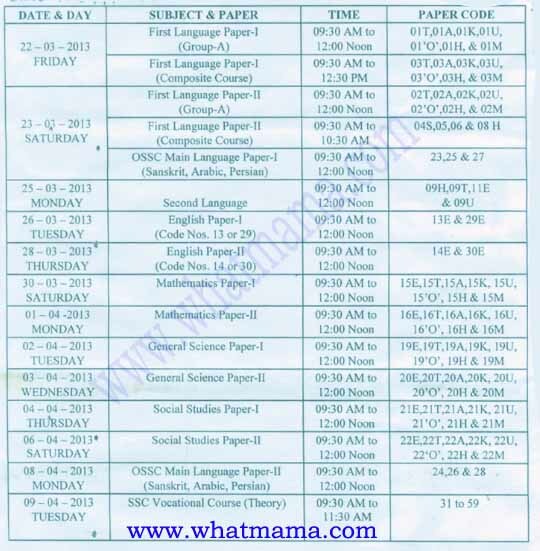 This press note announced on 23rd November 2015 so 10th class students who want to check their 10th class examination Schedule visit whatmama.com. According to press note 12, 64,000+ Students are enrolled for Ap 10th class public Exam 2015. Another important thing is who are not enrolled those students can pay their Exam fee with late Fine Rs.500/-. Ap 10th class exam timetable 2015 are provided bellow ssc public Examinations will start from 22nd March 2015 to 9th April 2015.